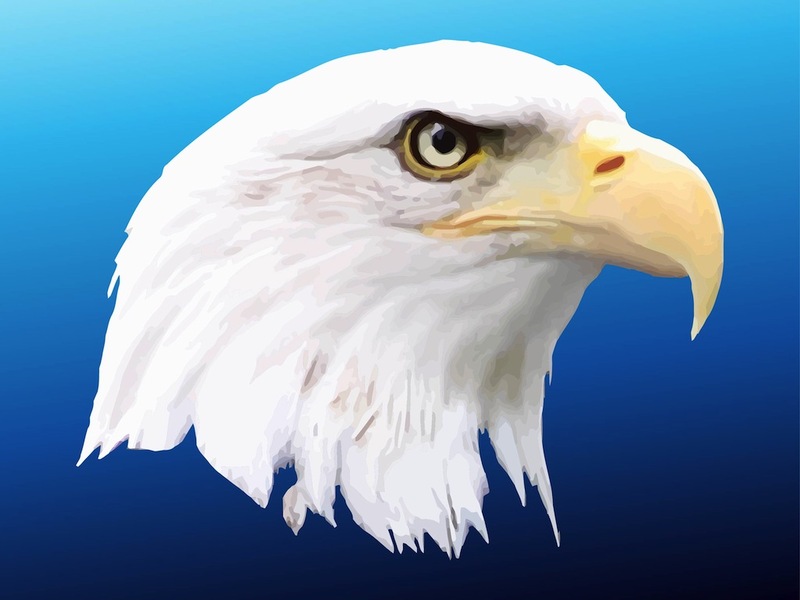 Bald eagle vector logo template with an angry bird head. Detailed and realistic image of the plumage, curved beak and shiny eyes of the animal. Free vector image for all American animals, wildlife, wilderness, zoo, birds and flying animals designs. Realistic eagle for company logos and stickers. Tags: America, Angry, Animal, Bald Eagle, Bird, Logo, Realistic, Sticker.